I graduated in September 2017 after spending four years at Plymouth University studying MPsych Advanced Psychology in Behaviour Change. 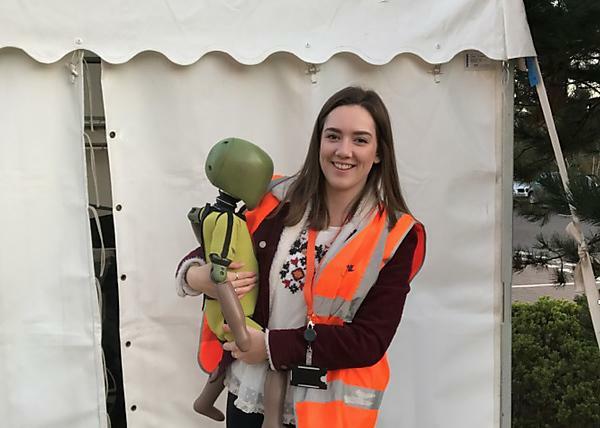 In November I started working at Transport Research Laboratory (TRL) in Wokingham as a Behavioural Change Researcher, in the Transport Safety and Behaviour Group. TRL is one of the largest and most comprehensive independent centres working in transport in the world, employing engineers, statisticians, physicists and mathematicians as well as psychologists. The Group carries out a wide range of research projects, which includes evaluating changes to the driving test, trials of driverless cars and assessing distraction and impairment in our driving simulator. I run participant trials as part of my job, meaning that every day is different. I am involved with all aspects of trials, from reading previous literature and helping to design a new study, to running trials and writing up the results in a report. I am not always behind a desk; I have already conducted studies using virtual reality technology and crash test dummies. The variety of things I get up to is just one of the reasons that this graduate job is so exciting for me! ​My degree at Plymouth has helped me develop the key skills I have needed to take part in company based research projects. The skills learnt from the BSc (Hons) Psychology course have given me a great foundation of knowledge, especially in research methods and the basic psychological principles. My MPsych year gave me an insight into some of the many behaviour change techniques that can be used in psychological research. I also had the opportunity to develop and run my own project which gave me invaluable experience for future research. Studying for an MPsych, meant working more closely with my lecturers and this has given me the confidence to talk people who are high up in their field, at university and in my workplace. I feel that by having a more applied degree, I had the freedom to choose a job which really suited what I’ve learnt and my interests!